Even if you don’t wear green or watch a parade on March 17th, you pick up a green bagel or some Irish soda bread, and end the day with wine and Irish cheeses, a green cocktail or an Irish Coffee. Or, you can make a traditional Irish recipe, or an Irish-themed recipe, for brunch, lunch or dinner. This year, St. Patrick’s Day falls on a Saturday, affording time to cook. In our book “Irish-themed” comprises any authentic Irish food, or anything colored green, from Appletinis and Broccoli Salad to Chocolate Mint ice cream. If you only have time for a drink: Irish whiskey, Guinness and other Irish beers, or a Irish cream liqueur with after-dinner coffee. 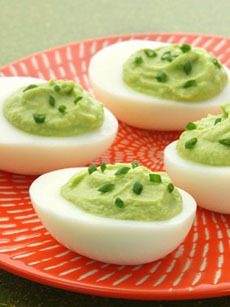 Green Deviled Eggs from the California Avocado Commission. 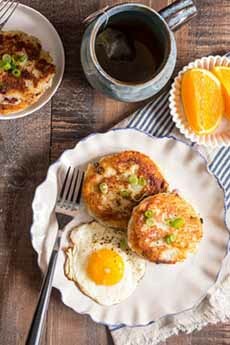 Corned beef hash patties with fried or poached eggs, from Idaho Potatoes. 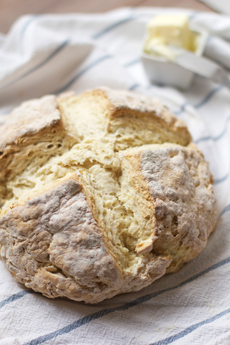 Irish Soda Bread Recipe from The Baker Chick. 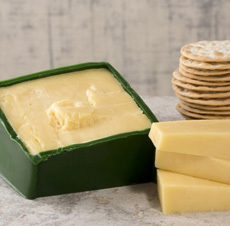 Irish Cheddar from Murray’s Cheese. 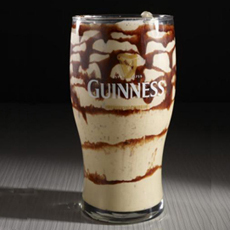 Guinness Float from R Lounge | Times Square. 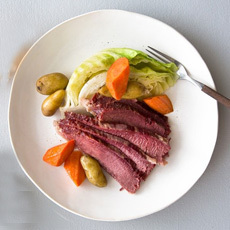 Guinness-Marinated Corned Beef & Cabbage from Justin O’Connor | Guinness Storehouse | Dublin. 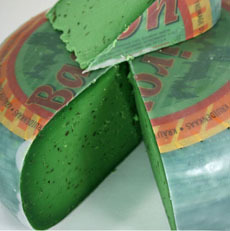 For a cheese plate, serve green cheese and other Irish cheeses with green fruits (photo courtesy Atalanta Corp). 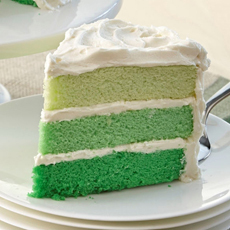 Green Ombre Layer Cake from McCormick.